Highly capable digital modular oscillator. 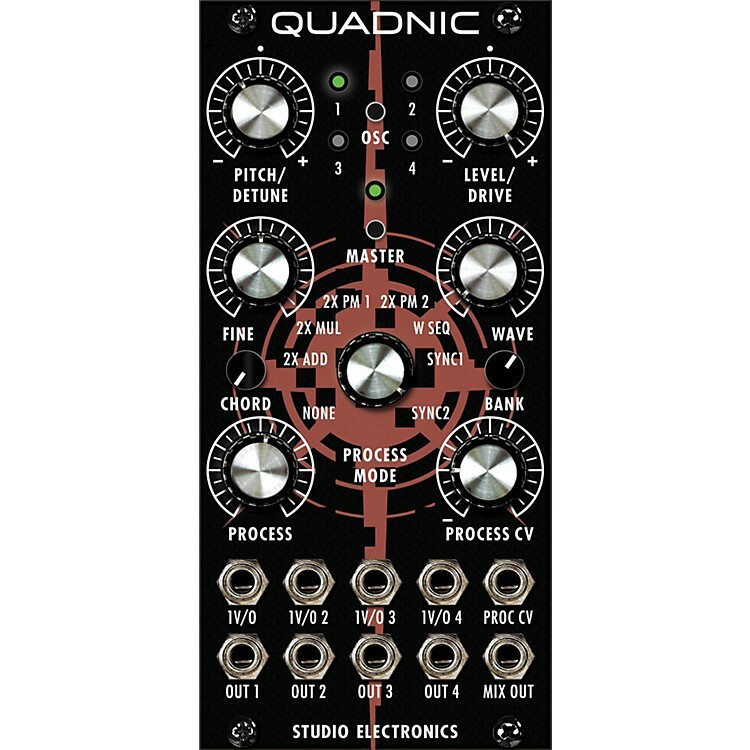 Quadnic is a 12hp module with four digital oscillators, each with a selection of 64 waveforms, 7 different processing modes (including phase distortion and wave sequencing), and a dedicated volt-per-octave input. In unison mode, all 4 OSCs can be played via the 1st 1V/O CV input and widely detuned, or switched to a preset chord formation, a major move beyond the monophonic module behavior. Oscillation is where it all starts. This is a great one. Order today.